When your job entails you to save hundreds of files, the best option would be to go for an external drive that transfers data faster and also has the ability to secure and backup massive amounts of files. Buffalo, a leading provider of innovative network solutions, has come up with a solution for all your data transfer needs – plus it ensures maximum portability for every user. 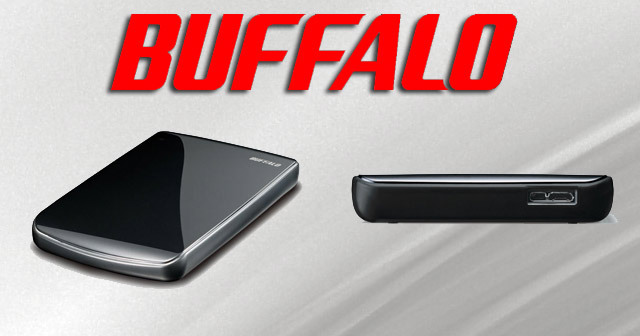 The Buffalo MiniStation Cobalt USB 3.0 hard drive, also known as HD-PEU3, is the newest generation of external drives from Buffalo that is equipped with SuperSpeed capabilities, so it can transfer data of up to 10 times faster than USB 2.0! The external USB 3.0 hard drive is multi-functional and preformatted for immediate usage with any Mac or Windows system. The hard drive, despite having a detachable USB 3.0 cable, is also backward compatible so it is able to support USB 1.1 and USB 2.0. The hard drive provides users who are always on-the-go with ultimate convenience with its compact size and lightweight form (less than half a pound!). Save as many photos, videos, music, and data files as you’d like with 500 GB. HD-PEU3 also does not require an external power supply unlike earlier hard drives. Just connect the hard drive on a USB port and you’re good to go. The USB 3.0 hard drive features top of the line features such as Buffalo Tools, a feature-rich suite of PC performance enhancement tools. This smooth feature offers users a 25% improvement in performance (such as transfer rates) through TurboPC; an ability to conserve energy and battery consumption with ECO Manager; and a high-tech tool to easily back up your PC or Mac with Buffalo’s Backup Utility. For all Mac users, the device works with Time Machine to ensure that your files are safe no matter what! The Buffalo MiniStation Cobalt USB 3.0 hard drive comes only in one stylish color—a blue onyx. What’s unfortunate however, is that the cobalt does not seem to be as strong as it appears as research shows they can be easily scratched. Keep in mind that the cable is not as easily replaceable as a 2.0 version. The drive uses a new USB 3.0-compatible cable and is not able to take your old USB 2.0 cable if the one included in the package gets lost or stolen. The external hard drive is on the market for a price of $139. Unfortunately, more competitors have stepped up to the plate with comparable and sometimes better hard drives. So if you’re not in the hurry to buy a 500 gig drive, we strongly suggest that you make a comparison before purchasing one. What can you say about the Buffalo MiniStation Cobalt? Are USB 3.0 capabilities enough to convince you to purchase one? This entry was posted in Articles, Buffalo Technology and tagged Buffalo HD-PEU3 USB 3.0 Hard Drive, Buffalo MiniStation Cobalt, Buffalo MiniStation Cobalt USB 3.0, Buffalo MiniStation Cobalt USB 3.0 Hard Drive, Buffalo Technologies, HD-PEU3, MiniStation Cobalt USB 3.0, Ministation Portable Hard Drives, USB 3.0 Portable Hard Drives. Bookmark the permalink.